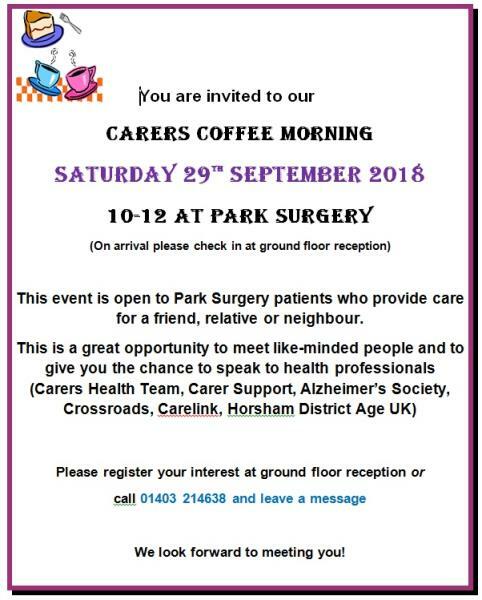 Please let us know if you are a carer of a patient of Park Surgery. With your permission we will add you to our register of carers. You will then receive regular newsletters from the Carers Support Service and be able to make an appointment to see the Carers Support Worker based in the surgery.